I must admit to having been out of the linky game for a while! While we were on our round the world trip we were too busy enjoying ourselves for much blogging. Now we are back with a mountain of posts that need writing and trying get back into our routine of blogging and the linky game! It’s really nice to get back into the swing of things by guest hosting one of my favourite linkys again! So thank you Elizabeth for passing over the hosting duties baton to City Tripping for this week! As we are now back in London full time I’m linking up this week with my bumper bucket list post of 50 things to do in London with kids! I can’t wait to read your posts. Link up one post – old or new. Please only link each post once. 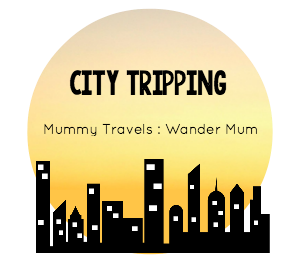 The City Tripping linky will go live every Tuesday morning until 23.55pm on Thursday and will alternate between Wander Mum and myself. We’ll be sharing our favourites every week too.